Mom's Gone Bronson! : Therafit Shoes Does it AGAIN! 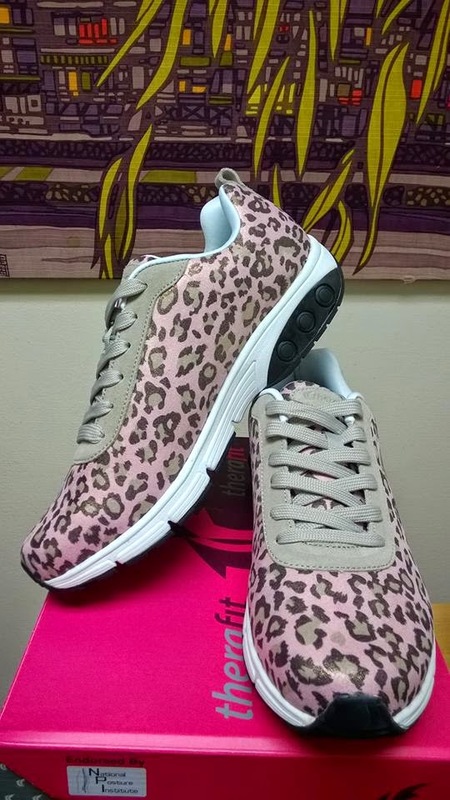 With Women's Paloma Fashion Athletic Comfort Shoes! Therafit Shoes Does it AGAIN! With Women's Paloma Fashion Athletic Comfort Shoes! Disclaimer: I was sent a pair of Therafit Shoes in order to complete this review. All opinions on the shoes are my own and your views may differ! Thank you! I talk about Therafit shoes, a lot, and honestly they are the only shoes i've worn now, for years, other than one pair of no particular name boots that I happen to have for the days I want to put my feet through heck walking out and about town - suffice to say, when I got the chance to try out another pair of Therafit Shoes I couldn't say no!! 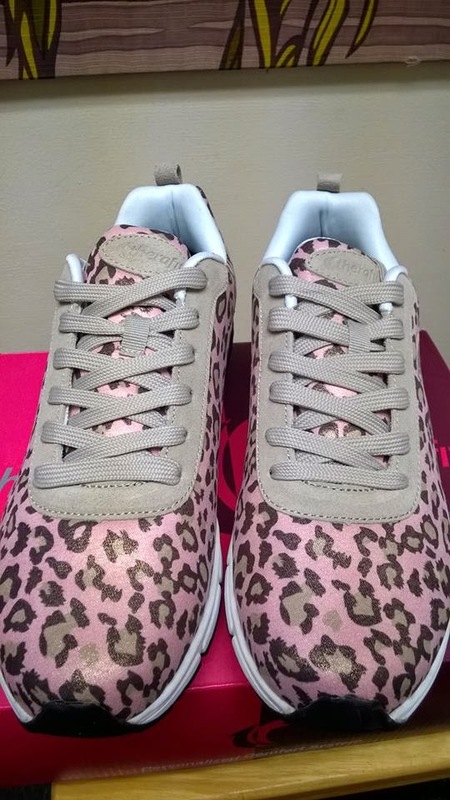 This latest pair of shoes are Women's Paloma Fashion Athletic Shoes and they come in 4 different designs, based on patterns/prints seen on the runways of Europe, which include: Gold, Black, Floral and, the ones that I have - Pink Leopard! As ever, these shoes are designed with your comfort (7 layers there of) in mind, including arch support, padded lining, shock absorbtion and deep heel cups for stabalization and support, plus great fit and style! Having worn many Therafit shoes, I can honestly say that these are by far my favorite! I have a size 11 foot and I usually have to walk in new shoes to wear them in once I find a pair in my size, but these shoes just slip on, have a nice, slick, comfortable fit from the get-go! I walked all day in these shoes and have never felt so comfortable! They have plenty of room, are a true size 11 and are not too tight or ill-fitting, they are comfortable on my soles and on the back of my leg/ankle and they put a bounce in my step with a smile on my face and a flare of personality! In fact, If cinderella's glass slippers were athletic shoes, then I am convinced that they'd be these Paloma Therafit Shoes! Check out Therafit Shoes, today, at http://www.therafitshoe.com/ and see the vast range of favorites and NEW designs, waiting for your feet to enjoy this Spring/Summer and all year around! I always have difficulty finding good shoes that fit. These look like they would fit like a glove. Thanks for sharing. I sure need a new pair of sandals. I like their Tiffany Sandals. They are adorable.